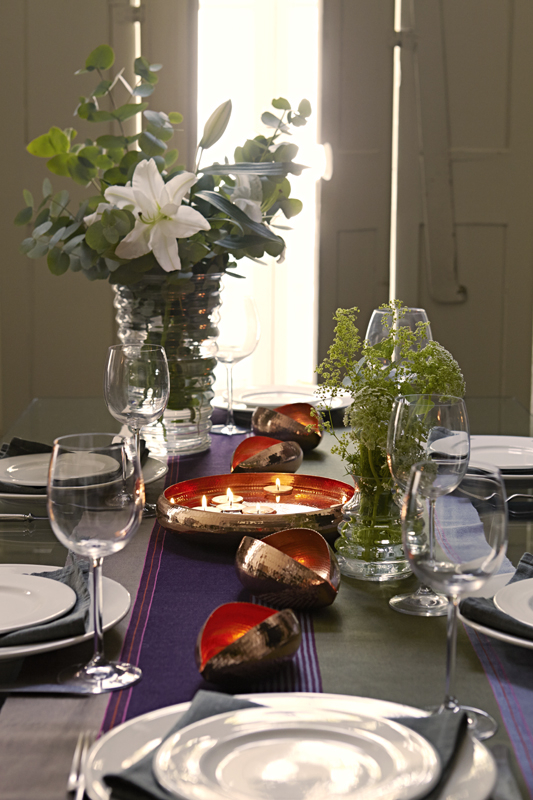 Category: Table Runners. 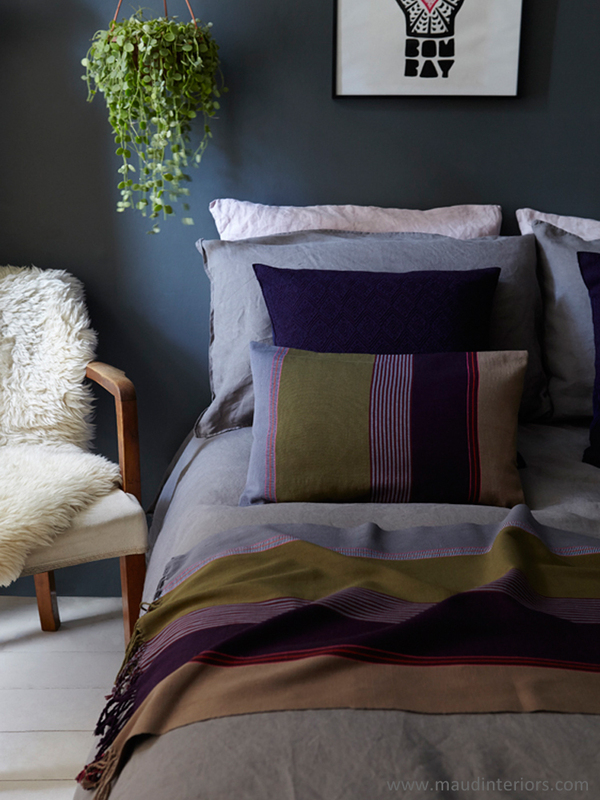 Tags: back strap loom weaving, Chiapas, cushion cover, fair trade, hand finished, hand woven, Mayan weavers, Mexico, navy, olive, purple, runner, striped, Thank you gifts, traditional handicraft. 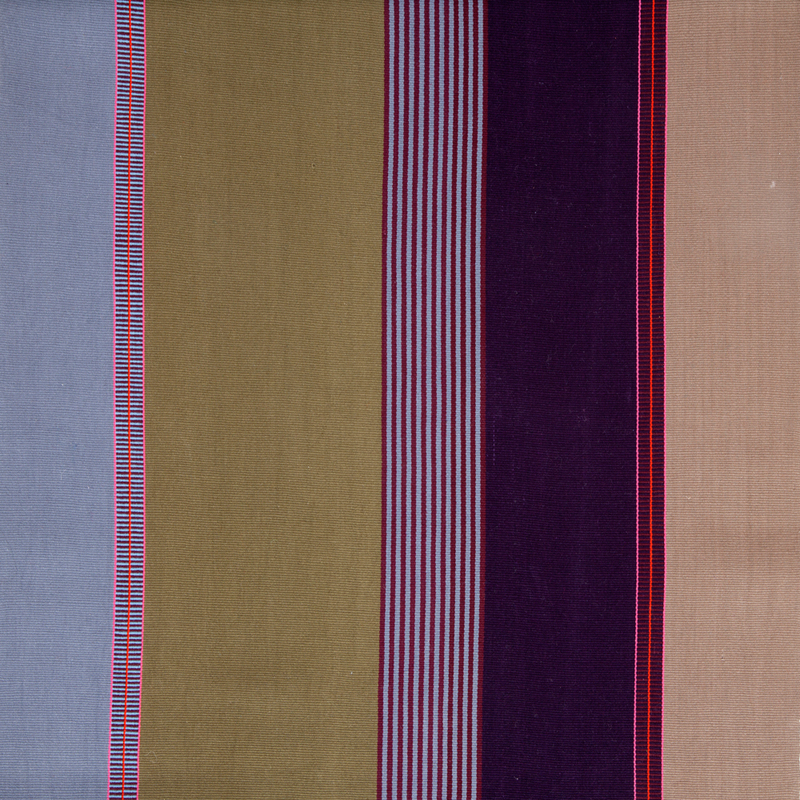 A bold, striped table runner (or runner for the foot of the bed) from Mexico. 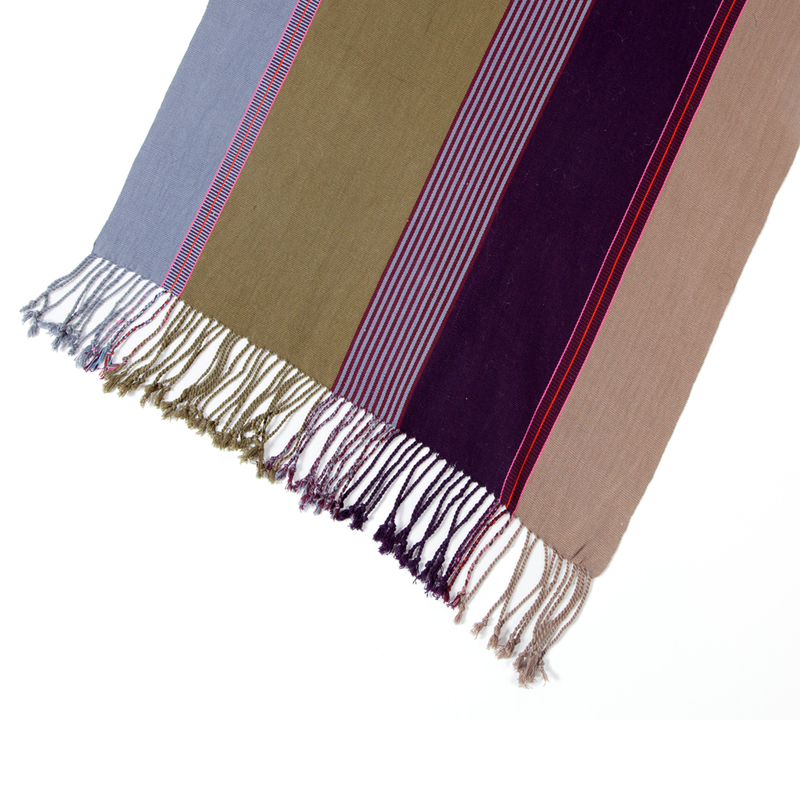 This table runner has been hand-woven by a Mayan weaver using a traditional back strap loom. 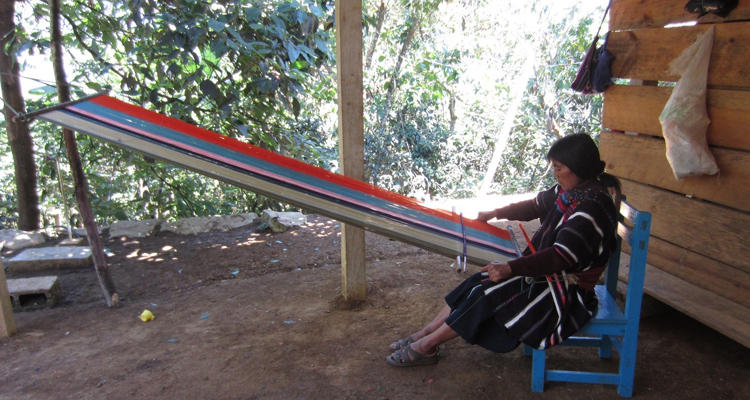 If you travel through Chiapas in Mexico you will see local women sitting outside weaving with their looms hooked up to a tree or their porch. 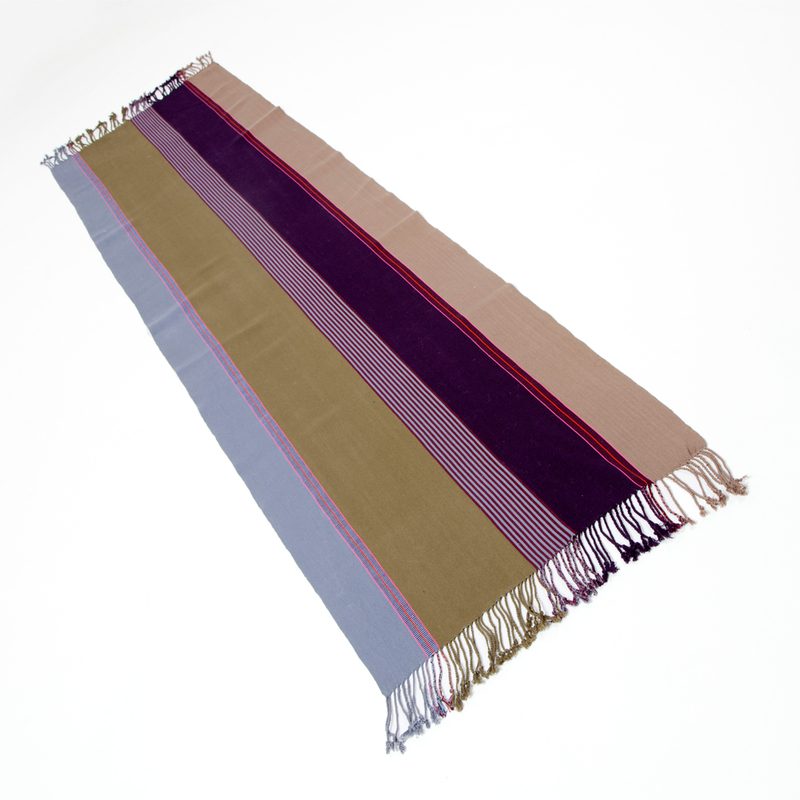 This table runner is perfect for outdoor dinner parties and would look good with some of our Chiapas cushions. They make great gifts too. Roll over the photos to see the runner in more detail. To find out more about the not for profit organisation behind our new runners click here.